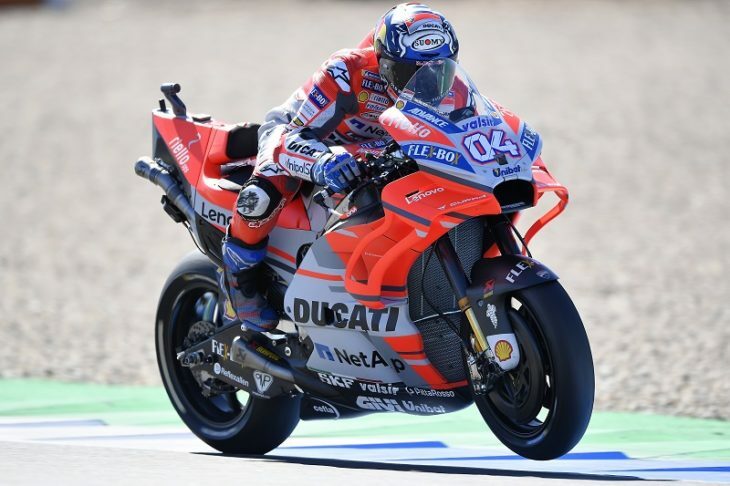 Andrea Dovizioso will start tomorrow’s Dutch Grand Prix at the Assen TT circuit from the second row of the grid after setting fourth quickest time in qualifying, just 79/1000ths of a second away from Marquez in pole position. This morning the Ducati Team’s Italian rider was unable to improve on his time set yesterday and he ended up tenth overall in the combined standings, but in any case he went through into the afternoon’s all-important Q2 session. Jorge Lorenzo was tenth quickest in qualifying and will start the eighth round of the season from the fourth row of the grid tomorrow. In the morning the rider from Mallorca was seventh quickest in the combined free practice standings. The Dutch Grand Prix, which gets underway at 14.00 CET, will be held over a race distance of 26 laps.